Premium quality materials are used in manufacturing of the Laryngoscope Fiber Optic blades. Macintosh blades are also known as Curved Blades. 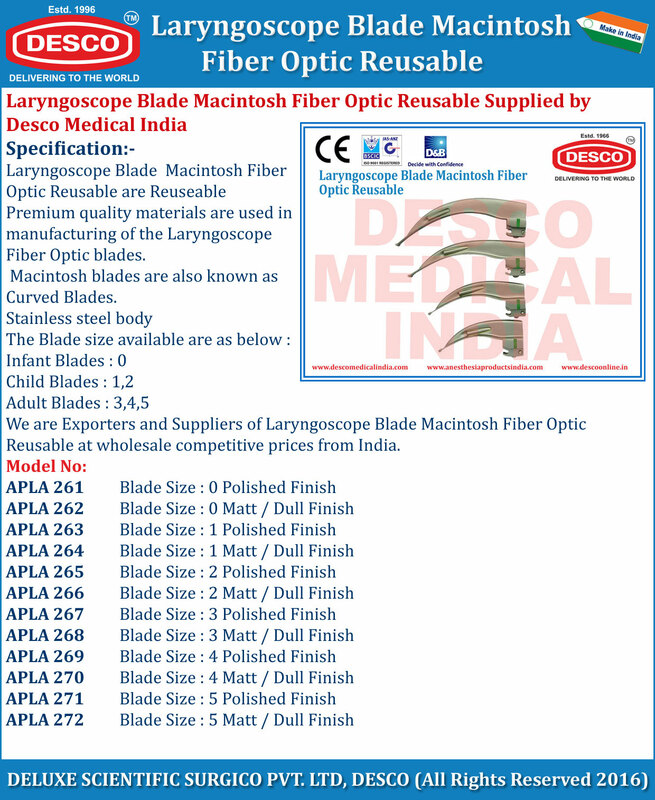 We are Exporters and Suppliers of Laryngoscope Blade Macintosh Fiber Optic Reusable at wholesale competitive prices from India.